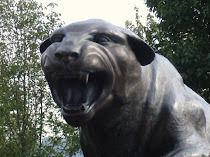 YOUR Pittsburgh Panthers officially earned (emphasis on the word earned) the number one ranking in both polls today. 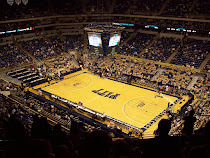 The emphasis from news outlets obviously was that it was Pitt's first #1 ranking in the school's 101-year history. As I pointed out earlier, this is monumental for the school. Championships aren't won until the end of the year, and rest assured, if Pitt fails to crack at least the Elite 8 this year, the season will be viewed by many as a disappointment. However, a #1 ranking is the kind of resume-builder the school needs to be considered a truly elite program. "It won't mean much to our players. We've been consistently good, but at the same time we haven't won a national championship, so nothing changes." "We're excited," sophomore center DeJuan Blair said. "It means a whole lot for us. But we need to stay focused and keep our heads in it, stay humble."